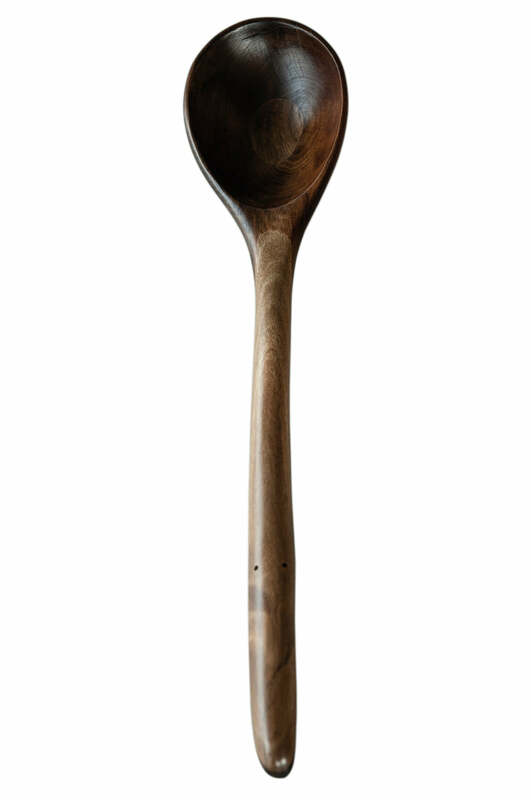 This large dollop spoon features a river Rimu bowl from the Northern Wairoa river with a walnut feature in the centre from the Whanganui settlers tree. The handle is crafted from Puriri wood from Auckland. These beautiful Kitchen Artefacts are individually handcrafted in New Zealand using salvaged and untreated wood. The items are finished and protected with a food safe, plant based oil/wax product. A unique piece to be treasured.